Crunchyroll - Rimuru is THE ONE AND ONLY Best Protagonist! 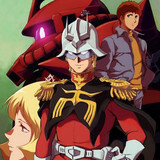 Have you cast your vote for the Anime Awards yet? Find out why I think you should vote for Rimuru Tempest as Best Protagonist! It isn’t easy to pick a winner for many of the Anime Awards categories this year, and frankly most of these categories are absolutely stacked with amazing contenders. 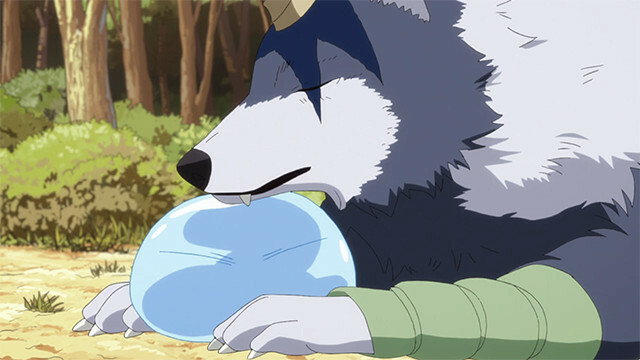 But as far as I’m concerned, one category that I’m not having that problem with is Best Protagonist, because there’s one glistening, shiny, soft orb that deserves the title: Rimuru Tempest, from That Time I got Reincarnated as a Slime! While some of these other contenders in the category are certainly high quality, Rimuru is miles above the rest when it comes to deserving the win. I can tell you might not be convinced, though, so let’s run down some of the reasons why Rimuru deserves to win, so you can go cast your votes for him if you haven’t already! Rimuru may seem like an odd choice at first, given that he seems, on the surface, very similar to other isekai anime heroes: taken from his original world to a new one, given amazing powers, and forging his own unstoppable path to victory with them. 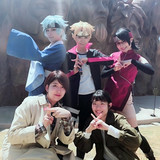 However, Rimuru’s real charm comes in the fact of how and why he’s doing what he’s doing. A protagonist has to be more than simply being the main character of a series, they have to be the driving force and sense of moral compass for the whole work to operate off of. Rimuru could certainly have just been another power fantasy, and in some ways it is easy to write him off as one at first, but power fantasy characters are only interested in themselves; Rimuru, however, is not. 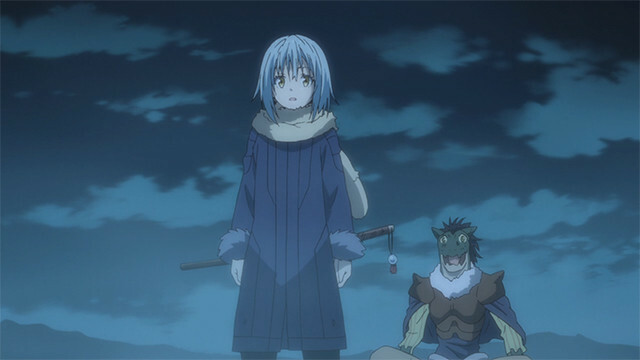 Much of the joy and warmth that comes from That Time I got Reincarnated as a Slime is the sense of care that Rimuru has invested in the people and monsters that he meets, always offering people kindness when at all possible. Even in his battle with the Orc Disaster, Rimuru gave his enemy a peaceful and reassuring end, rather that gloat about his amazing powers or show off his abilities. 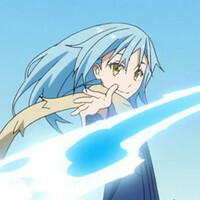 Rimuru’s battles are perhaps more interesting than the usual isekai character for this reason: he isn’t interested in gaudy displays of skill or unknowable knowledge from his previous life, but instead has a confidence that his skills will win the day and focuses instead on the best possible outcome, preferably without having to harm anyone… and if he does have to, making sure that person doesn’t get a chance to harm anyone else! Rimuru’s strength is, instead of a plot crutch or boring excuse to escape problems, instead a somewhat reassuring level of confidence that things can always turn out okay. Characters that get injured are healed by his power, dangerous enemies are snuffed out before they rampage out of control, and even when death may be inevitable, Rimuru ensures that such events happen with dignity and comfort for those who pass on. That isn’t to say that Rimuru is a saint; his extinguishing of Ifrit was, for me, extremely satisfying after what the spirit had done to Shizue, and seeing Rimuru’s “brother” take care of the beast once and for all made me nearly jump out of my seat in joyous vindication. Against villains he could easily dispatch, like Gelmud, Rimuru instead opted for humiliating the prideful idiot in hopes of making him come to his senses, rather than simply killing him outright. While we can generally rest easy knowing that Rimuru will win, it is how he wins and why he wins that makes the show, and thus Rimuru, such an amazing character to follow. It’s easy to understand why the characters that surround him respect and admire him, as well as why they’re all so fun to watch in action, because Rimuru is passing on his charisma to the lot, even making idiots like Gabiru seem likeable, because if Rimuru likes them, then we probably can too. Personally, the fact that Rimuru is so powerful and so kind are what make him so memorable and likeable as a protagonist. Many of the other candidates this year are ones that are perhaps more personally relatable on a basic level, people we could perhaps envision meeting or knowing, but Rimuru is actually like that too, just not in a way we immediately recognize. As we’ve said, Rimuru is super powerful, but that’s not what makes him interesting; he’d be no better than any other isekai character if that were it. 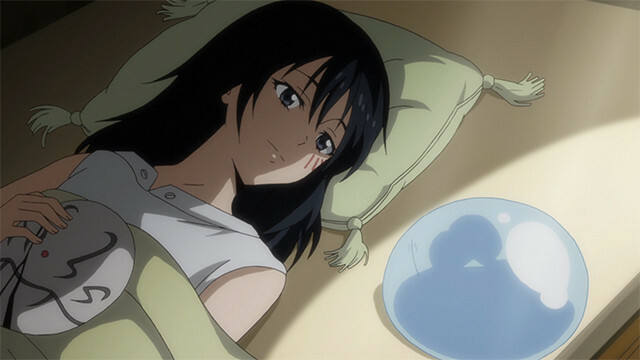 Instead, it’s Rimuru’s heart that matters, even if his slime body may actually lack a real one. A great protagonist is a character that we can relate to, but they can also be one that we aspire to be, that we want to see ourselves in, and Rimuru is that type of protagonist, working to bestow kindness and compassion for those around him. Rimuru never lets his immense power allow him to take advantage of the people who follow him or those who need his help, and instead finds ways to build bridges and cooperation between people. 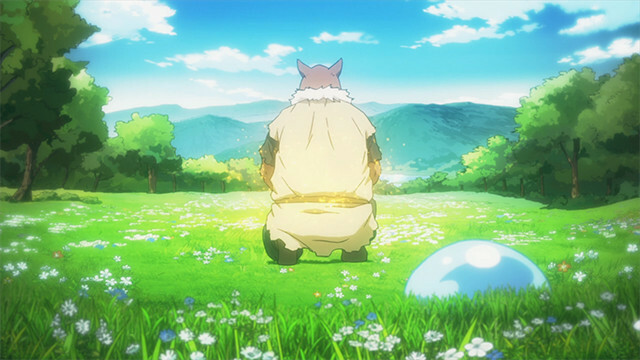 For all of the amazing battles and fights in Reincarnated as a Slime, the real scenes that stand out and define Rimuru are the ones where he’s interacting with others and helping them out, guiding them and being a friend to them. His compassion for the human adventuring party after the death of Shizue, his adoption of the dwarfs and direwolves, and even his olive branch to the rampaging orcs show the different style of protagonist that Rimuru is trying to be. It can be easy to lump isekai stories into a single pile, but frankly that just doesn’t do the series any justice when it comes to seeing what really makes one unique and special. We all might dream some days of being transported to other worlds where we can be heroes, but Rimuru’s dream world is one in which he gets a chance to help people, and help those people live peaceful, happy lives. 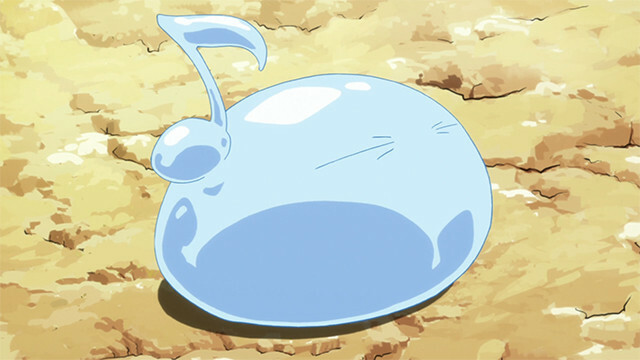 It is a unique type of protagonist in anime that is selfless in many cases, when the camera needs to focus on them and their amazing powers to show off what they can do, but in Slime’s case, Rimuru is just such a character. His near invincibility frees him from needing to worry about non-stop combat and fantasy battles, and instead gives him the freedom to do and say things that would seem unusual and particularly memorable in a genre that’s got a big case of too similar protagonists. And that's why I believe that Rimuru Tempest deserves your vote, so do your slime friend a solid and give him your vote, and help Rimuru ascend to the elf-laden fantasy land of his dreams as winner at this year’s Anime Awards! Did I convince you to vote for Rimuru? Or are you going to make a wrong but totally your own decision? Let me know in the comments! 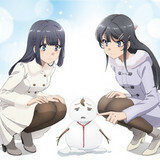 Vote for your faves in the Anime Awards today!